Greenbuild International Conference & Expo, Philadelphia, PA – November 20, 2013 – In response to market demand and LEED v4, three companies with a common mission to bring credibly greener products to the marketplace have introduced a new product for manufacturers to transparently report the environmental performance of their products. SM Transparency ReportsTM are a new alternative to Environmental Product Declarations (EPD) – with equivalent verification and credibility. NSF International, a global public health organization that writes standards, and tests and certifies products for multiple industries to minimize adverse health effects and protect the environment, is providing the Life Cycle Assessment (LCA) verification and report certification. Today, SM Transparency Reports can be used to meet LEED v4 MRc2 Option 1 for product-specific declarations by presenting the results of a publicly available, verified ISO 14044 LCA. Their designation as a USGBC approved program to earn EPD equivalency is in process. On August 29th, we held the sixth in a series of webcasts featuring educators from leading colleges and universities demonstrating how Sustainable Minds is being used in education. 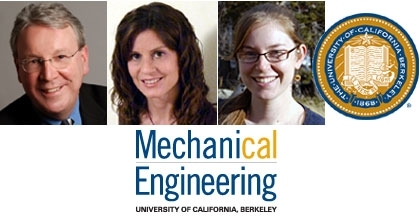 From graduate to professional degree programs, educators at UC Berkeley are using Sustainable Minds to enrich and expand these programs, teaching lifecycle thinking through hands-on experience. At this year's IDEA 2013 Conference & Expo in Miami, it was announced that nonwovens industry body INDA is joining forces with Sustainable Minds (SM) – the global leader in cloud-based life cycle assessment software. Sustainable Nonwovens editor, Adrian Wilson, caught up with SM’s CEO Terry Swack to find out how the company’s nonwovens solution is progressing and its industry sponsor relationship with INDA. In this webcast, Terry Swack (Founder & CEO) and Joep Meijer (LCA Technical Expert) introduce SM v3.0. In this webcast, Terry Swack (Founder & CEO) and Joep Meijer (LCA Technical Expert) introduce SM v3.0. Now Sustainable Minds can partner with manufacturers to get visibility for their brand and make product data available to manufacturers, consultancies, educators & students worldwide – making it easy and cost-effective for raw material and component manufacturers to get ready to meet their customers’ reporting requirements and win business. Thank you for making Sustainable Minds the #1 Cloud LCA software for greener product innovation – now used in 600 locations in 60 countries. We are excited to bring you SM v3.0. Now with SM v3.0, Sustainable Minds can partner with manufacturers to get visibility for your brand and make your product data available to manufacturers, consultancies, educators & students worldwide. CAMBRIDGE, MA – MAY 7, 2013 – Sustainable Minds, a provider of life cycle assessment software solutions, was named one of Gartner’s 2013 Cool Vendors in Product Design and Life Cycle Management for. The list of Cool Vendors is designed to highlight interesting, new and innovative vendors, products and services. The company was recognized as a distinguished source of software tools and knowledge regarding product design and environmental life cycle assessment. Gartner suggests managers responsible for developing positive brand image and ensuring best environmental design practices across all manufacturing industries, should prioritize the use of Sustainable Minds. Cary, NC April 19, 2013. INDA, Association of the Nonwoven Fabrics Industry, announced today it has become a member of the Sustainable Minds Industry Sponsor Program. Sustainable Minds is the global leader in cloud-based Life Cycle Assessment (LCA) software that enables companies in a wide range of industries to design greener products. The goal of this relationship is to enable manufacturers across the nonwovens value chain to credibly, efficiently and cost-effectively evaluate the environmental performance of nonwovens to design innovative greener products. The Sustainable Minds nonwovens solution will include a continually expanding dataset, example products, knowledge sharing, training and a platform for showcasing greener materials and products, their uses and applications. 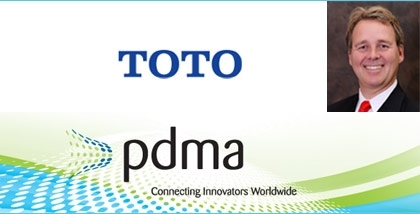 On March 19, the PDMA's Sustainable Innovation Webinar Series featured Bill Strang, President TOTO Americas and Sustainable Minds advocate, where he wowed attendees by showing how the world’s largest manufacturer of bath products, uses life cycle thinking to its advantage in the marketplace. 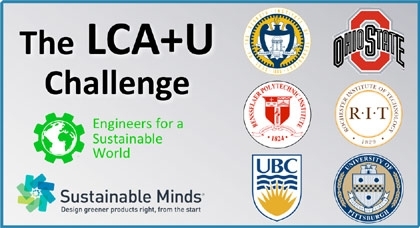 On February 25th, Engineers for a Sustainable World (ESW) announced the selection of projects for the inaugural lifecycle assessment plus universities (LCA+U) challenge, a joint project between ESW and Sustainable Minds. The LCA+U challenge encourages student members of ESW to work with campus staff and sustainability lifecycle assessment software to identify solutions or improvements to campus operations that have quantifiably lower environmental impacts. The six participating universities are Georgia Institute of Technology, Ohio State University, Rensselaer Polytechnic Institute, Rochester Institute of Technology, the University of British Columbia and the University of Pittsburgh. “These projects give our students a chance to explore alternatives that will really make an impact on their universities. We are tackling problems ranging from take-out food containers to building energy use and transport of organic material to compost locations, and are excited to use our partnership with Sustainable Minds to show campus leaders how they can truly have a positive impact through their decisions,” said Rob Best, Projects Director for ESW.